Visitors, confused by reading the title!!! This post will guide you to the correct way of advertising in social media sites like Facebook. Advertisers may have a good knowledge and experience of advertising their products. All those traditional methods need some new touch of social networking today. When any new product is launched, people will find out whether it is useful for them. Then find out how many have purchased it and what their experiences say about it. Using your experience and marketing tricks or tactics, you may sell it physically. 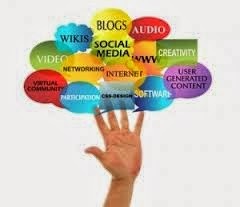 But to gather some audience from the online world, you have to know online marketing tricks. You get a whole world of audience for your product. To grow the business, which formula works is to gather the mass attention and their likes. Liking is a feature that is already working in Facebook. A product may get more and more likes if it becomes popular on it. The image at the left shows you the old and traditional methods. Advertising methods have changed. New tactics have replaced for businessmen which are still not used and implemented. 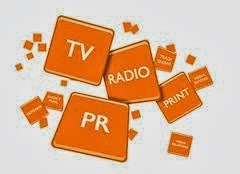 Television, radio or news paper, which were old ones have replaced with social networking sites, online selling sites like e-commerce sites, where there are many people who purchase products daily. A buyer before buying looks at the features, reviews, uses , cost etc. If someone already has bought it online, then he or she must have left a comment about that product on the selling site. When this review is read by others, then that product catches an eye and gets sold. It is natural way of behavior of customers. The latest ones in this category are social media, e commerce, etc. To gain success in the business, you need to know how you should gather online audiences for your products and sell them. 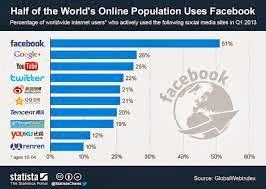 Today, Facebook is the most accessed social networking site daily. Placing ads and creating ads or creating a fan page even, attracts the buyer. How you create a professional ad is in your hands. That will need some great videos, images, likes , comments, reviews, uses, etc. What states in the title is to get the "Facebook Degree" after MBA. Here Facebook degree means, learning the new techniques of Facebook marketing without any institute. No institute teaches this. And Facebook marketing ideas will differ from person to person. Using Hash tags for a specific keyword (because keywords play an important role in gaining success online). To get keyword ideas, you need to know what people are searching on net. Again that is a very deep knowledge.Only Search Engine Optimizers know this tactic. Winning the hearts of customers and visitors is a difficult and tricky task. Doing some homework for your products' promotion using Facebook will gain lots of audience. The path is ready, make the way out of it to get success in social media marketing.